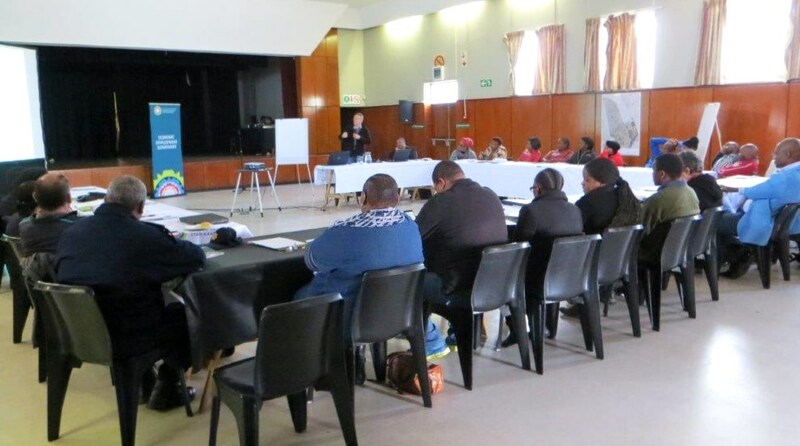 AeT delivered tailored workshops on inclusive design methods to an audience of officials from the City of Cape Town Metropolitan Municipality and informal traders. This collaboration included initiating a pilot project in the informal economy node of eMfuleni. 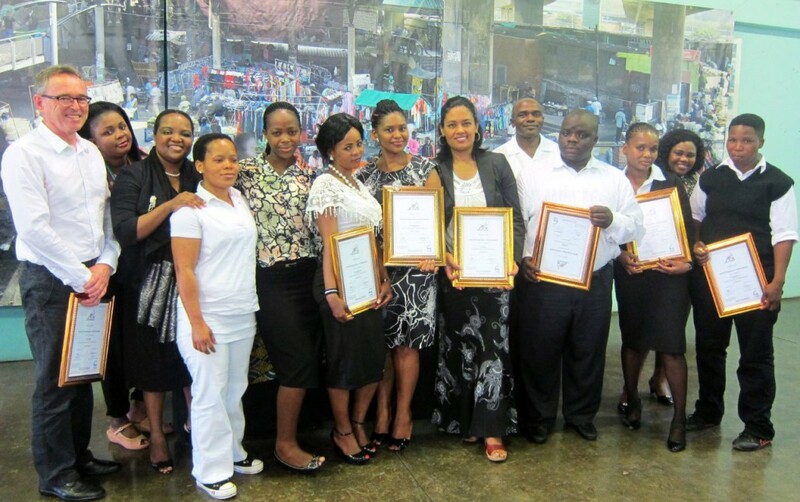 AeT’s involvement came about as a result of winning a CityMart competition that sought to enhance informal trade conditions in Cape Town. The project has affirmed the replicability of our work in other contexts looking to develop their local informal economy. AeT staff members presenting to the Cape Town@work delegation. Photo: Phumelele Mkhize. For a long time, AeT has been seeking core funding. Tending to the daily walk-in needs of informal workers is usually unfunded but important work. Ford Foundation has recently supported AeT in these capacities. For example, assisting with access to social services, urban management issues and those that are inadvertently in variance with the law. Having core funding to deal with the day-to-day organisational and community needs has relieved and enabled AeT to embark on new and innovative work. Furthermore, responding to the walk-in needs is what has helped to initiate and shape appropriate project based interventions. Social worker partners from the Bright Site Project, with the late informal recycler Afrika Ntuli, who assisted him to reunite with his estranged family members. Photo: Tasmi Quazi. AeT has received funding support from The Open-Society Foundation: South Africa to establish its Law Programme, implemented in partnership with the Legal Resources Centre (Durban). 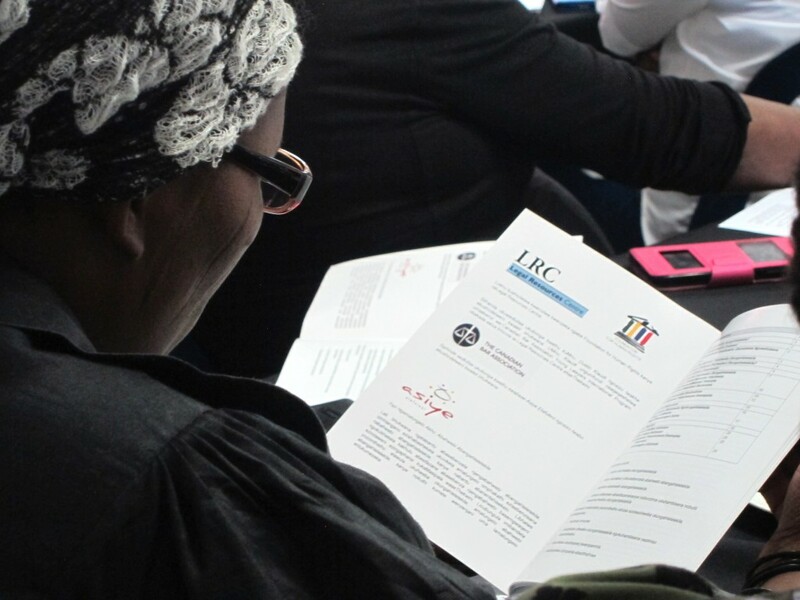 Through legal activism and seminars, the Law Programme seeks to increase an awareness of informal workers’ rights and responsibilities and establish more just and inclusive policy and legislation governing informal work. What was previously a confined relationship with LRC in tackling a few strategic legal challenges, will now transition to a better resourced and comprehensive programme. A participant of the 2-day “Women Traders’ Conference” organised by AeT & LRC (Durban) to raise legal awareness. Photo: Tasmi Quazi. 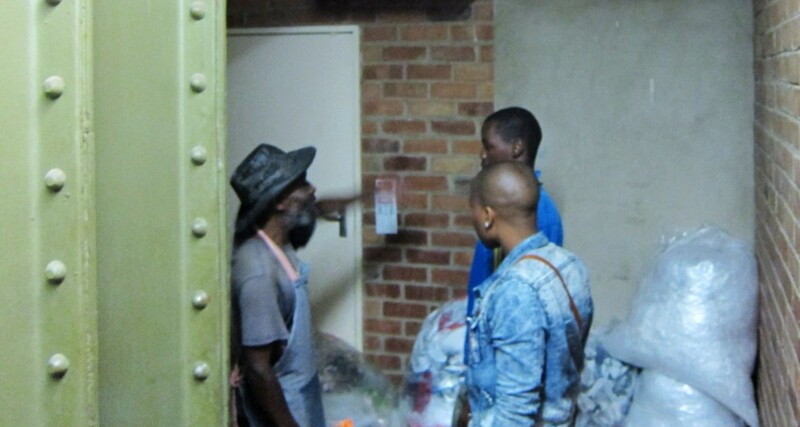 From 2016, eThekwini Municipality has sought to reinvest in upgrading certain informal markets within Warwick Junction, however, their processes were fraught by the lack of adequate consultation with informal workers. AeT’s expertise has been sought by affected informal workers and by city officials responsible for the implementation of the proposed plans. AeT’s role has been to facilitate both; technical understanding of design and development processes for informal workers, and social understanding for city officials. AeT’s interventionary role in this regard was realised through the Bovine Head Cooks Market and sought for other redevelopment projects, namely the Herb Market. Bovine Head Cooks signing their approval of the City’s revised drawings which accurately captures their inputs after facilitation support from AeT. Photo: Phumelele Mkhize. The 3-year Comic Relief funded Kanyenathi Project commenced from October 2014. 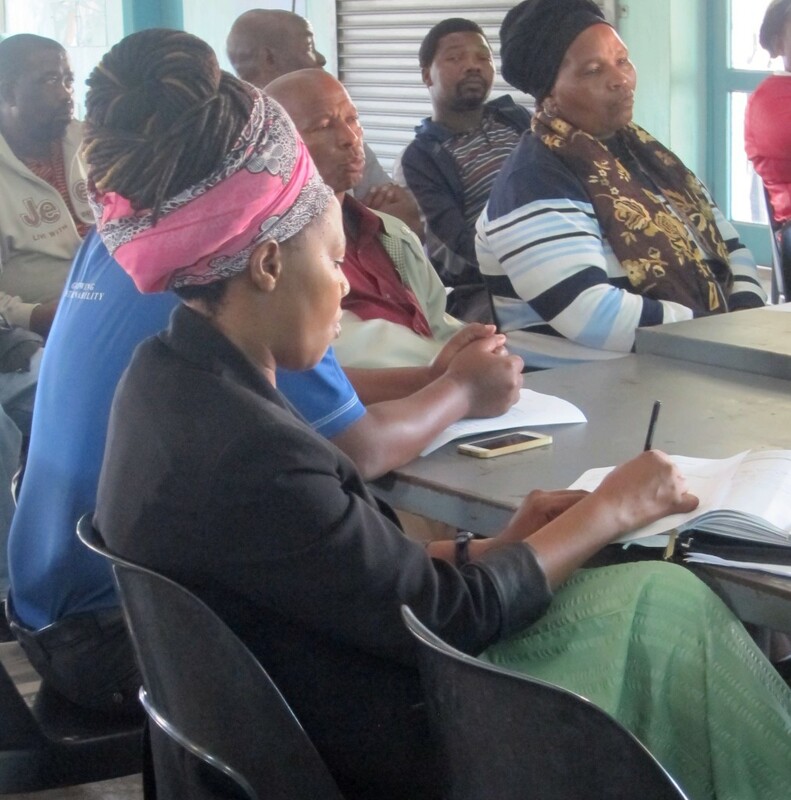 The Project implemented an informal worker-led infrastructure audit in order to identify major challenges affecting their workplaces, ultimately towards securing some infrastructure interventions that deals with some of the challenges. The Project began with several in-depth meetings with informal workers from various leadership structures, a number of whom were either disillusioned or mistrusting of one another and especially of the prospects for constructive engagement with the City. This past year however has seen a change in perception, after the infrastructure audit findings were successfully presented by trader representatives to City officials. Subsequently, the City followed through with site visits and with keen interest in implementing three major infrastructure projects arising from the presentation. Read more here. City Officials in the foreground intently taking notes during the trader presentations. Photo: Tasmi Quazi. This year has seen the unexpected and devastating deaths of senior leaders from different informal economy sectors, namely Traditional Healer Zodwa MaDlamini Khumalo, Informal Recycler Afrika Ntuli, Trader Bongani Mzobe and Mealie Cook Henry Maphumulo. Three of the four mentioned traders were victims of taxi accidents close to their workplaces excepting Mr Mzobe, who fell fatally ill after exposure to torrential rains that hit Durban. These incidents highlights the extreme occupational health and safety hazards faced by informal workers and higher mortality rates within the informal economy. Unless, these hazards are addressed by the provision of appropriate infrastructure and through greater consideration of informal workers operating from busy market hubs. 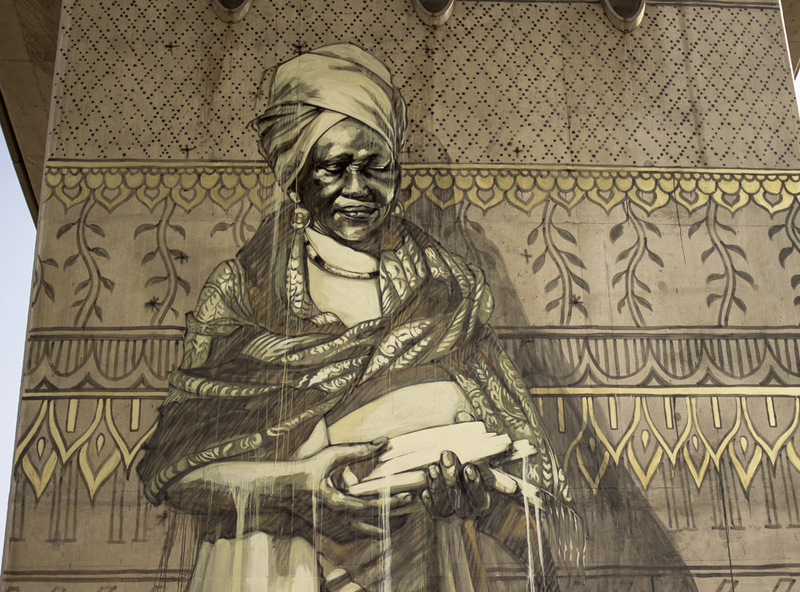 The mural depicting the late MaDlamini’s portrait, painted on the underpass pillar of the flyover, celebrating her role as a Traditional Healer in Warwick Junction. Image source: here. On 12th December 2016, AeT celebrated its co-founder and Senior Project Officer’s 30 year work anniversary in Warwick Junction and its bustling informal economy. He began his career as a sympathetic Metro Police Officer with the mandate of regulating informal workers, then as an Area Manager for the municipality with a mandate to develop the informal economy – and finally as AeT’s Senior Project Officer with the mandate of working with informal workers as co-developers. His is a powerful, lived story of post-apartheid transformation of which he was an integral force. This milestone affirms his role as one of the most experienced social facilitators and an authority on the relationship between informal work and urban development. 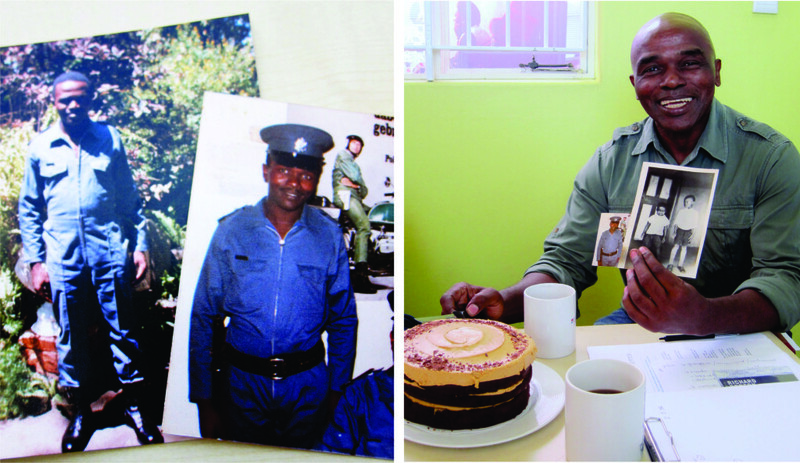 Pictured left: Patrick as a young Metro Police Officer and on the right: Patrick now, holding a childhood photo along with his photo as a Metro Police Officer. The Markets of Warwick Tour Project has officially seen over 10 000 visitors since its inception in 2010. 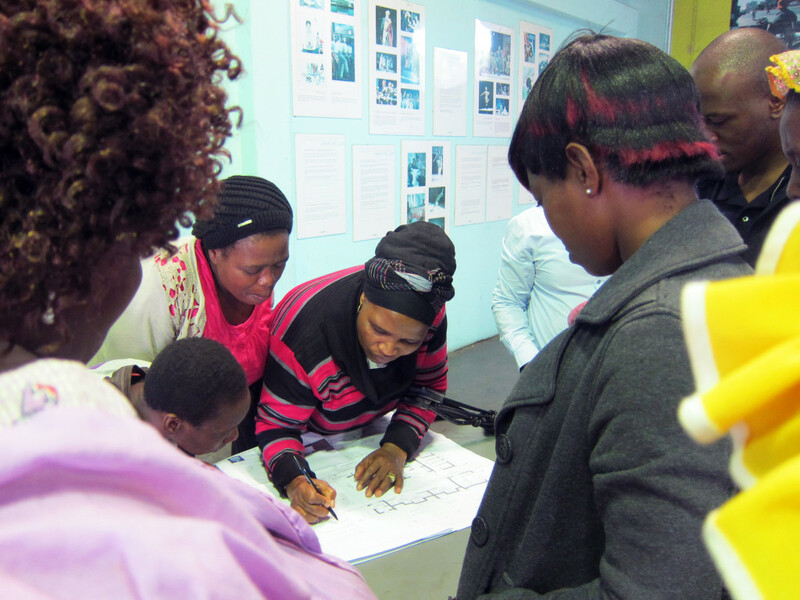 An additional 8 tourist guides have been trained to make up a total complement of 16 tourist guides, the majority of whom are informal workers (read more here). Beyond the school tours, a matured component of the project is the provision of customised educational tours for tertiary learners covering a wide range of topics. 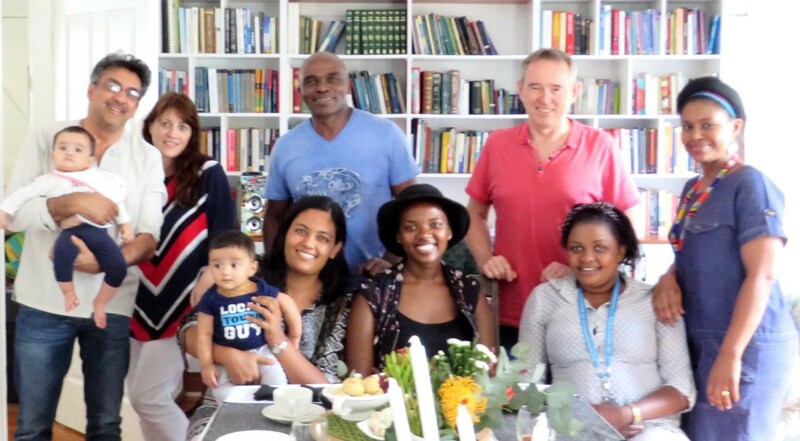 For example, the School of International Training and their interest in post-apartheid transformation, University of KwaZulu-Natal’s Occupational Therapy department and their interest in the working lives of informal workers, and the School of Business and Leadership and their interest in topics such as local economic development and leadership in turbulent environments. New and senior tourist guides of the Markets of Warwick Tour Project (13 of the total 16) pictured together at the Graduation Ceremony. Photo: Chantal Froneman. 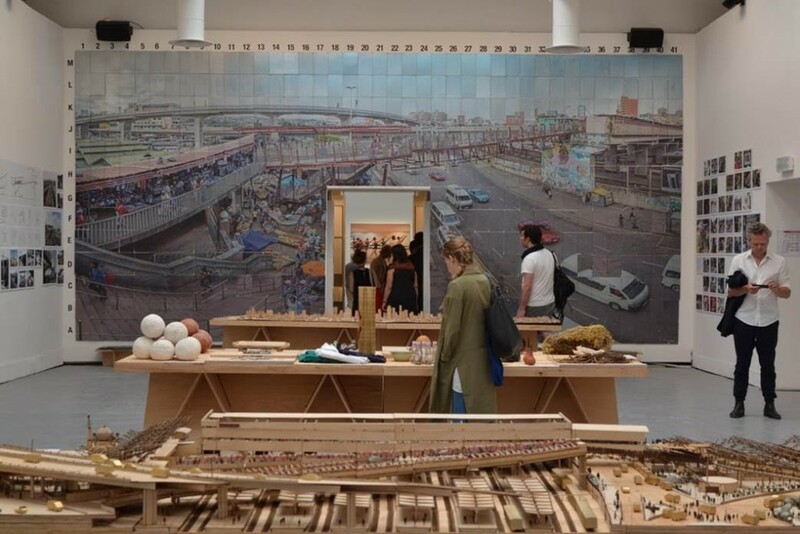 One of the most significant events in 2016 was the first-time appearance of Warwick Junction and its vibrant informal economy at the 15th edition of the International Architecture Exhibition Biennale which is widely recognized as one of the most prestigious artistic events in the world. The Exhibition entitled, “Reporting from the Front”, was held in Venice, Italy, and featured participants from 40 countries. The aim of the Biennale was to shift the architectural dialogue from aesthetic appeal to highlighting spatial development that addresses social needs and injustices. Among these exhibition pieces was “The Transformation of the Warwick Triangle, Durban, South Africa” by designworkshop:sa and AeT. Read more here. Photo of the Warwick Junction Exhibition taken by Emilia Bonsembiante. Part two of this article will continue with the list of 16 major events and projects; namely AeT’s maturing project work, its contributions to exhibitions, publications and think-tanks, its growing extended family, its emerging internship programme and participation in two City planning initiatives.